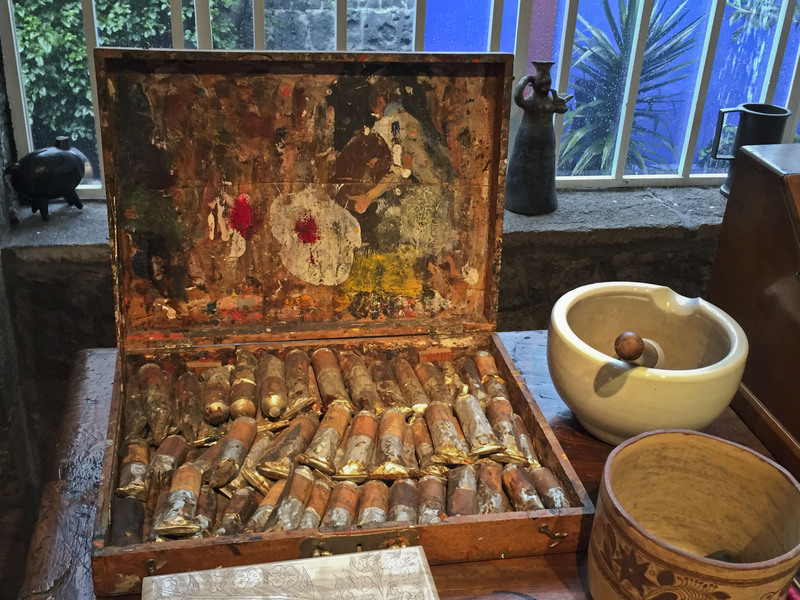 Frida Kahlo’s paint box – Casa Azul – Mexico City. This entry was posted in Mexico, Photo of the Day 2014 and tagged CasaAzul, Frida Kahlo, Mexico City, Painting, Photo of the Day, Photography, Travel on October 9, 2014 by Bill and Paige. Seriously amazing, like seeing M. Angelos chisels, or saint’s bones. Thank you for sharing that, much appreciated. Wonder what the rest of the studio looked like, a view? Check out the photo of the day 285 – I posted more photos for you!